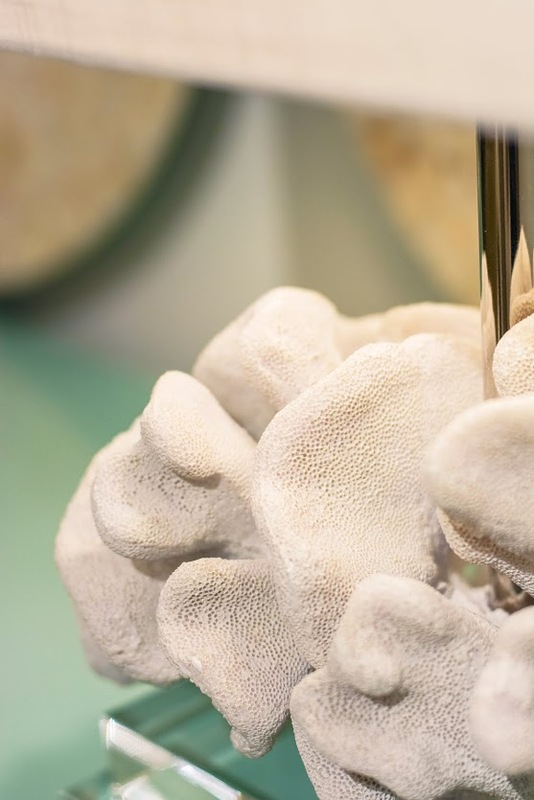 Coral redefined. 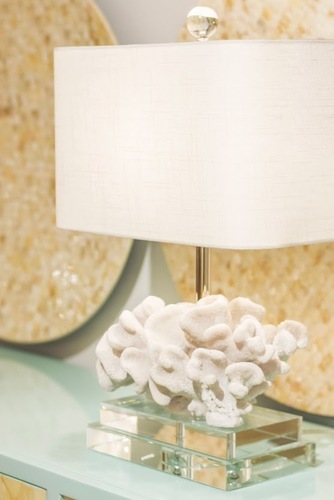 A beautiful piece of coral, meticulously recreated in resin and finished in a natural coral white finish. On top of two generous chunks of optic crystal topped with a rectangular rounded corner hardback shade in white linen. Design goes into the sea. 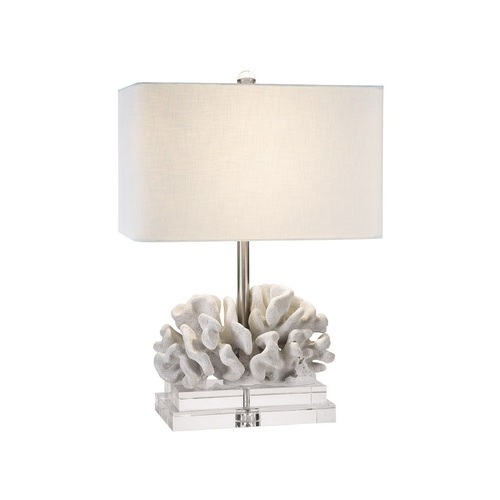 Lamp measures 15"W x 22"H and takes one 100 watt 3-way bulb.